Pet Detective enzyme cleaner has a mild pleasant "fresh" fragrance. Not an overbearing fragrance like most of the industry standard formulas. 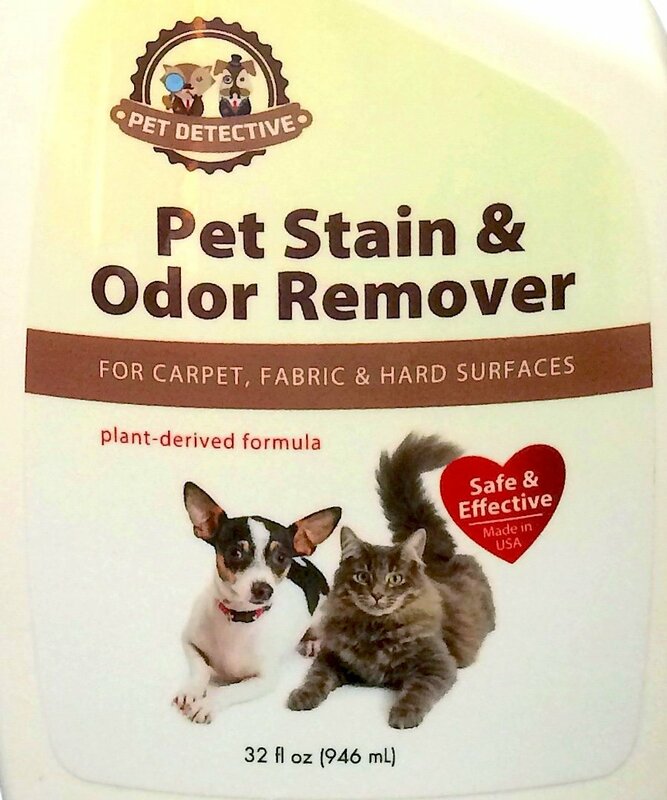 Pet Detective Odor Eliminator and Carpet Stain Remover is amazing! Anyone who owns cats knows that one of the toughest smells to get out is cat urine. I have two cats that unfortunately like to pee in corners every now and then. It doesn't happen often but when it does it stinks up the whole house. I've gone through cleaner after cleaner to try to remove the smell but even after cleaning the spot multiple times there's still a smell. I tried Pet Detective Odor Eliminator and Carpet Stain Remover and after the spot dried the smell was gone. I'm hoping that since the smell is gone maybe the cats will stop peeing there. So far so good! I highly recommend Pet Detective Odor Eliminator and Carpet Stain Remover!